I’ve been playing a good amount of Star Wars the Old Republic lately. I’ve been meaning to get back in and see the last couple of expansions’ stories if nothing else, and Dark vs. Light gave me incentive to do that. Then recent announcements about changes to endgame that basically say that they don’t want my money unless I subscribe (cliffnotes version: no engame gear for F2P players, F2P players can no longer buy weekly passes for dungeons, raids, PvP, etc.) had me ready to ragequit, but, when I thought about it, I realized that I have literally never done a raid in SWTOR, and it’s been years since I did a dungeon with anything other than a PUG. Sure, this means that I will never expand beyond this kind of occasional, casual play that means I will give them little to no money, but still, it doesn’t mean much for the way I play right now. This got me thinking about what I really want out of my MMOs. The answer I came up with was that every game’s end goal was unique. Here are a few, in no particular order. Since we’re on the subject of SWTOR, let’s start here. Since BioWare has basically told me the only thing I can do as a free to play player is story, that’s all I’m likely to be playing. After all, it’s what BioWare is best at, and what their focus has been on for a while now. If I skipped this expansion it wouldn’t be the first, but Knights of the Fallen Empire has me interested, so I’ll probably stick around at least enough to see the story once. I bought a couple of character slots while they were on sale, so I’ve been playing some vanilla content I’ve never seen before along with the newer stuff, which has been fun. It’s not likely to keep me in the game for long, but it’s fun for now. I created a new guild with some friends, and, in the first couple of weeks, the eight of us have done more as a guild than I (and several others) had done with their much larger guilds. This, combined with running the Halloween event (I finally got the Hexed outfit! ), has, strangely enough, renewed my interest in the game. I’m looking to get enough hero points to finish off my elite spec on a couple of my favorite characters (necro is mostly done, working on my revenant now, as well as my healing ranger a little) and I’ve been running dungeons with friends more often. I’ve somehow never done fractals, so I’m looking to do that soon. Maybe even get into some raids eventually? I like Rift, and I finally have a couple of characters that I like, but I’m still not sure what my goals are for this game. I’m certainly not playing it for the story, and I’m not sure I’m dedicated enough to want to get into endgame dungeons or raiding. I guess I’m just playing for the sake of a new game to level in? Nothing wrong with that, I guess. I actually have a decently geared Esper healer, and I was signed up to go raiding with my guild shortly before they fell apart. Finding a new guild has severely decreased my interest in playing, which is sad because WildStar remains one of my favorite MMOs, and it needs all the players it can get right now. The death of my guild has, however, freed me up to finally check out the opposite faction. I’ve been slowly but surely leveling a Dominion engineer, which has been a fun experience. I may have to level one on the Exile side when I’m done. I like the Exile faction a lot better in general, but man, their capital city is a dump. The one for the Dominion is so much prettier. This one is almost the same story as Rift. The story is a little more interesting, but I don’t have any clear goals, and the angst that comes with building a new character is paralyzing. I decided to put this one on the shelf until One Tamriel came out, but now that’s here and I haven’t decided on a character to play. Really, all I want is to simply walk into Mordor. Seriously, though, my only goal is to see all of the world/story content in this game. I keep getting right up to the gates of Moria and stalling out. The rune-keeper class really clicked with me, and I want to get back to this one as soon as possible. I talked a little about Rift a few weeks ago, and I wanted to expand on that a bit. I’ve always been interested in Rift’s build-your-own-class mechanics, but in practice, what should be its biggest strength has always been its biggest barrier to entry for me. 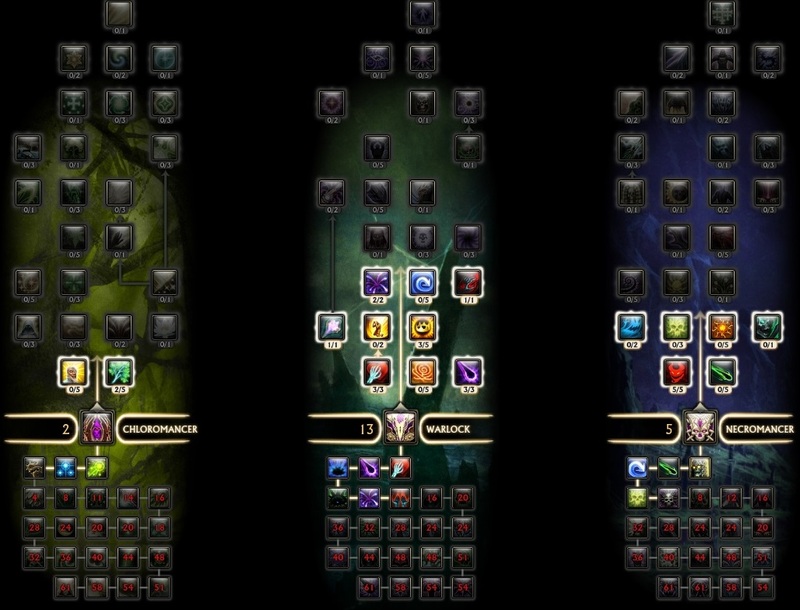 In most MMOs, I end up trying out every class sooner or later, and I usually don’t truly pick a class until I’ve done them all at least once, but the idea trying all of the “classes” doesn’t make sense in the Rift paradigm. What’s worse is that I feel the urge to reroll characters I don’t like, so I’ve done the starting zone a bunch of times and have never really moved beyond that. I guess I need to give myself permission to fail. After all, if I spend time messing around with a class build that I don’t like, it’s not like I’m out anything other than the cost of a respec, which isn’t much at all. I think the problem is that, when I drastically switch builds, it’s hard to get a bunch of new skills dumped on me at once and figure out how they all work together best. I think my strategy going forward will be to focus on one soul for a while, then add in things from one or two others when I start to see where this soul’s weak points are. I also like the idea of coming up with a concept for a class, then figuring out how I can make a Rift character do that. 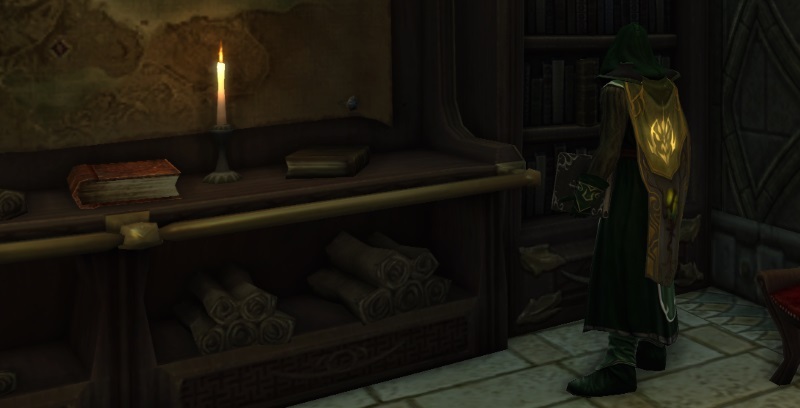 After toying with a few ideas, I decided to build my mage to replicate the things I liked about my Rune-Keeper from Lord of the Rings Online; lots of DoTs and HoTs, and, since Rift’s mage lacks anything like totems/runestones, pets will have to do. I’ve come up with a build that is mostly warlock (since this is basically Rift’s version of the WoW ‘lock, as is LotRO’s Rune-Keeper) with a little necromancer (for pets and extra DoTs) and a bit of chloromancer thrown in (for HoTs). Like I said with my rogue, putting those souls together may be an awful idea, but I’m having fun with it right now, so why not? I do wish I had a little more AoE. Maybe I’ll swap out necromancer for elementalist at some point. Speaking of my rogue, I stumbled upon a build guide out there that uses the strategist and bard together, so I think that means it’s not a completely terrible idea, yay! I’ve officially decided to park him until the expansion hits. No, not because I’m giving up on him, but because I’ve decided to use my 65 boost on him. It’s probably a terrible idea to just skip most of the game and go straight to the new zones, especially since I’ve never seen the parts of the game in between, but that’s what alts are for, right?